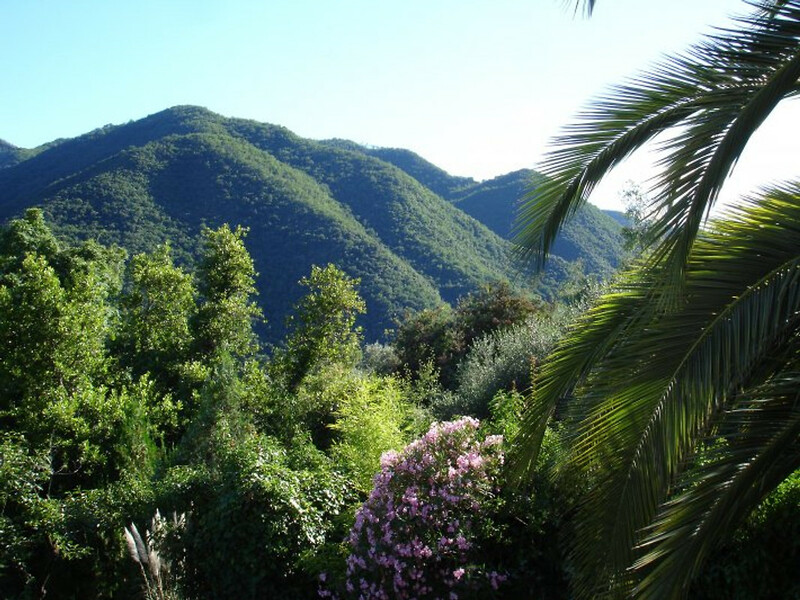 Only about 20 minutes drive from the beaches of the Riviera (Alassio, Laigueglia) in the mountains of the romantic Arroscia valley, lies the Casa Louise. It is part of an old Rustico's (country house) was built in the mid-1800th Already in 1980, the stone house was completely removed. With attention to detail was in 2006, the Casa again renovated and expanded. This traditional design has remained faithful and only uses natural materials to maintain the existing charm and emphasized. 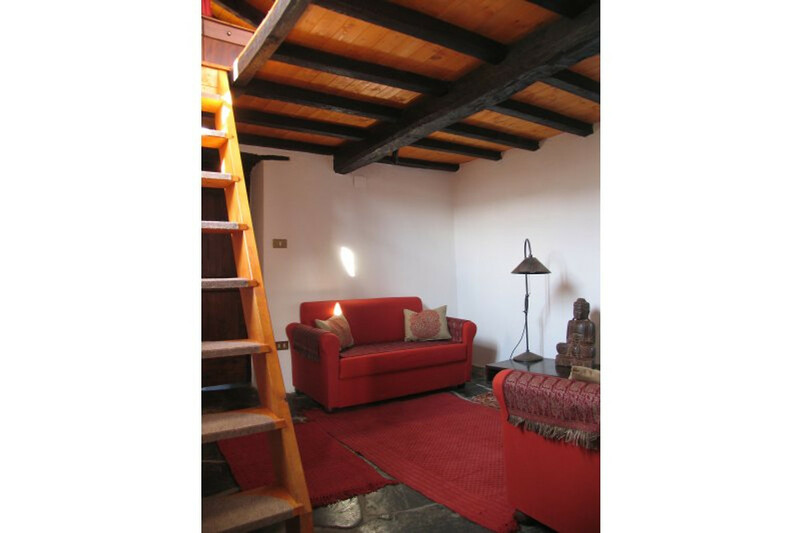 The guest apartment has about 78 m² floor space, a balcony of 9 sqm, a large roof terrace of over 20 square meters with a view to the Ligurian Alps. At the entrance (atrium), there is another seating area for barbecues. The apartment is spread over 3 floors, with about 30 steps (Eg stone staircase, 1st floor, 2nd floor gallery of the wooden staircase 3rd floor). | EC\u0026gt; corridor and access to the basement with washing machine | 1st Floor\u0026gt; Kitchen | 2nd Floor\u0026gt; 1 Double Bedroom\u0026gt;\u0026gt; 1 room with 2 single beds\u0026gt;\u0026gt; 1 small lounge with satellite TV (through room)\u0026gt;\u0026gt; 1 shower / WC\u0026gt;\u0026gt; 1 Balcony with table | 3rd floor\u0026gt; 1 gallery room with bunk beds\u0026gt;\u0026gt; 1 large roof terrace with outdoor shower, deck chairs\u0026gt;\u0026gt;\u0026gt; important: see for occupancy or Number of persons below for information "further information" This is an automatically generated translation. See the original text by changing the language to german. 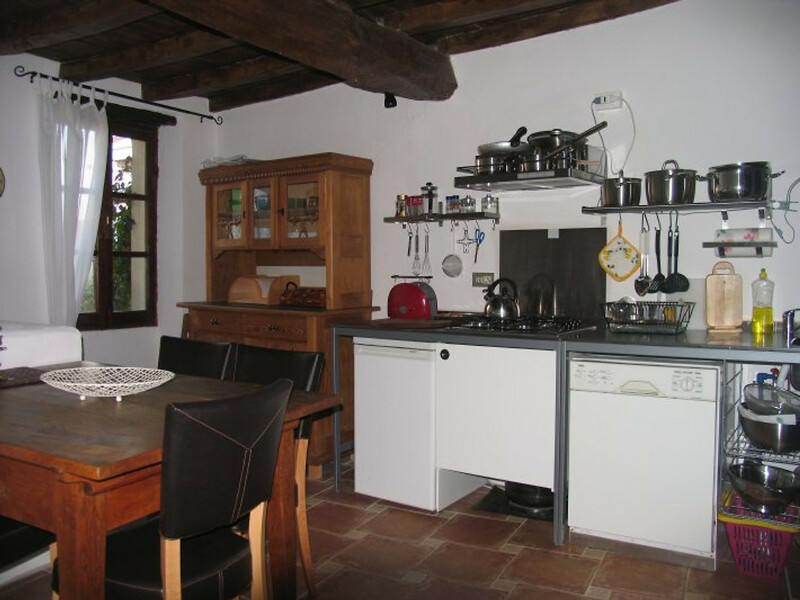 The apartment is located km above Ranzo in a small quiet suburb with only 6 houses, amid olive groves, on a street with little traffic. 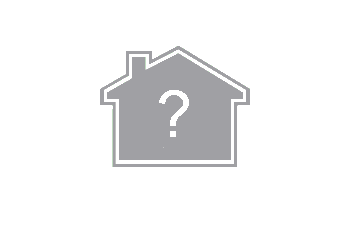 A footpath is approximately Ranzo 10 minutes away. 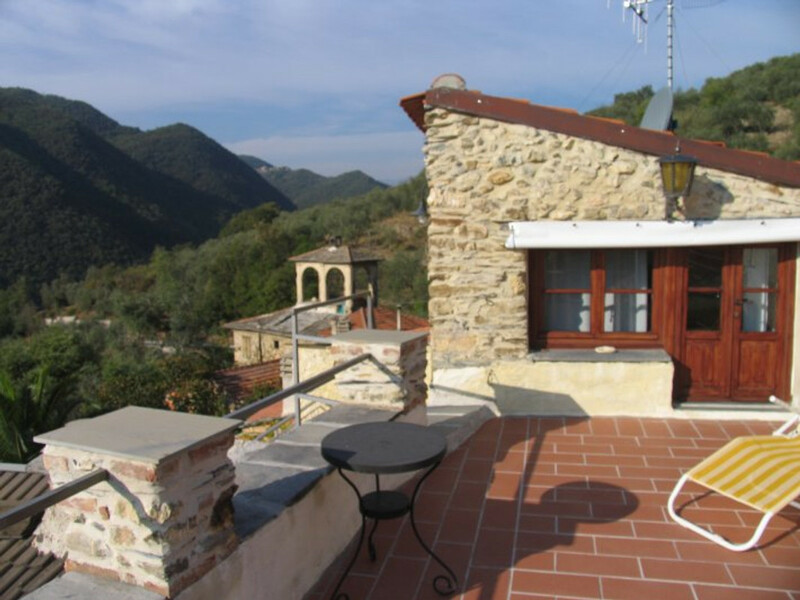 From the roof terrace and the balcony has a magnificent panoramic view of the mountains of Arroscia valley, olive groves and in the north you can see the peaks of the Ligurian Sea Alps. Car required. 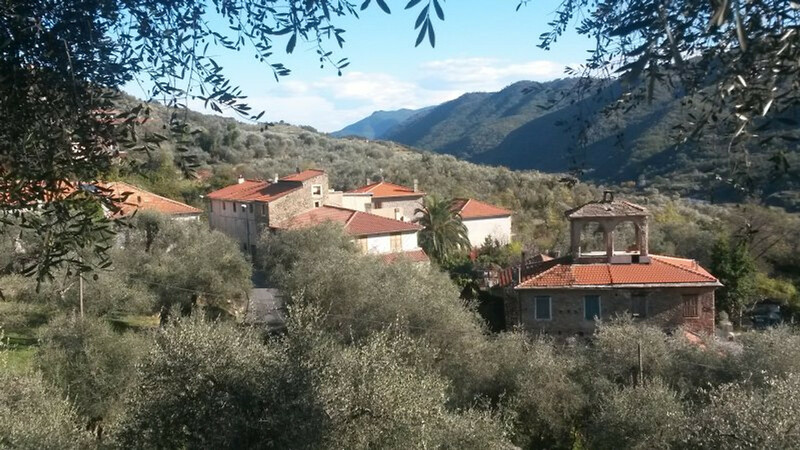 The village lies in the Ranzo the beautiful mountains of Liguria near the sea and has around 600 inhabitants. It is about 16 km and comfortable (-who was already in Liguria will appreciate that at the Casa are not to drive! Annoying endless switchbacks) 15-20 minute drive from the beaches of the Rivieria or di Ponente Riviera dei Fiori (Riviera) called. 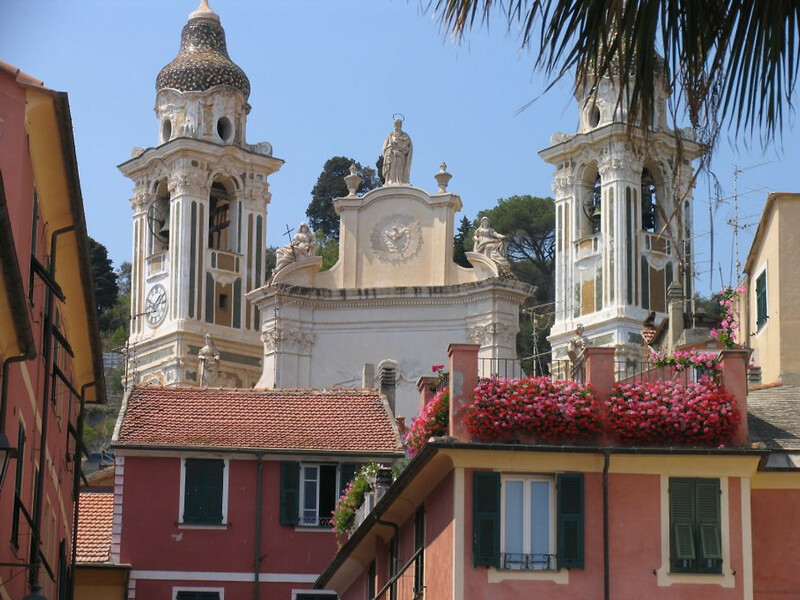 There is the chic resort of Alassio, the distinctive and historic Laigueglia Albenga. 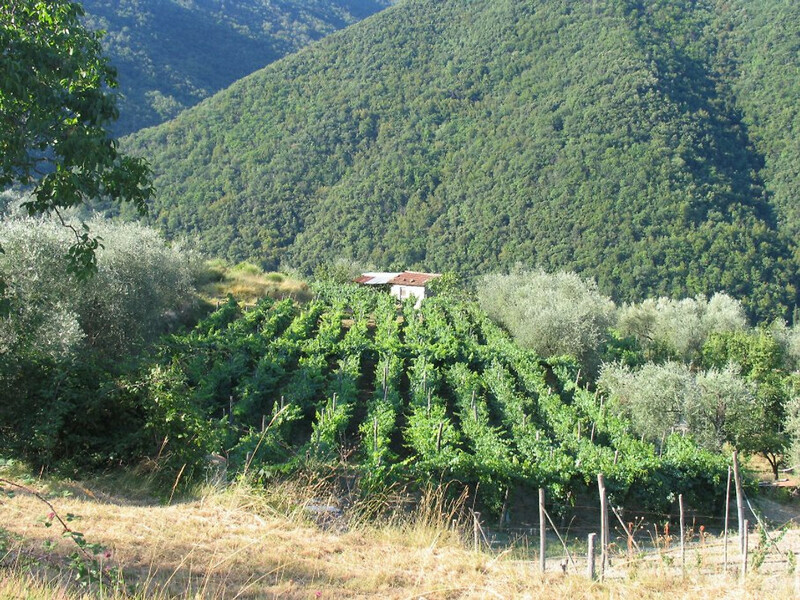 Ranzo lies on the Strada del Vino (Wine Route) in the beautiful valley Arroscia. The village is operating a small grocery store and several wineries their exquisite wines. In 5-15 minutes you will find restaurants and a wide range of shopping facilities such as food discount stores, specialty shops, shops, weekly markets, bars, nightlife, sports facilities on the coast-to Albenga and Alassio. Whale Watching Tours from Alassio. Golf course Garlenda, 13 km. 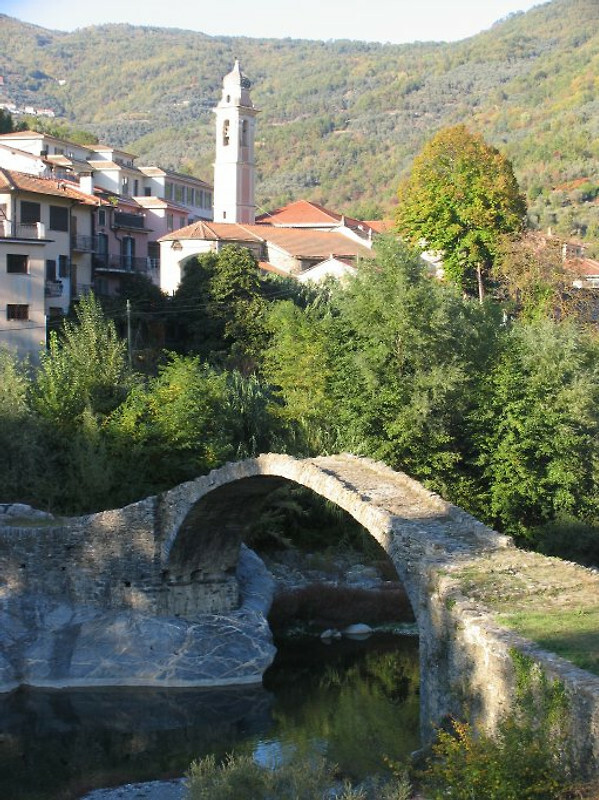 Ranzo is the starting point for hiking, cycling and biking in the surrounding mountains and the Via Alpina (Maritime Alps and Ligurian Alps). Flight to Genoa, Nice each from around Albenga 1 Stunde'Fahrzeit. Children from 8 years to 12 years reduced: surcharge per child / week only 30 Euro. The Casa Luise team is a family team. 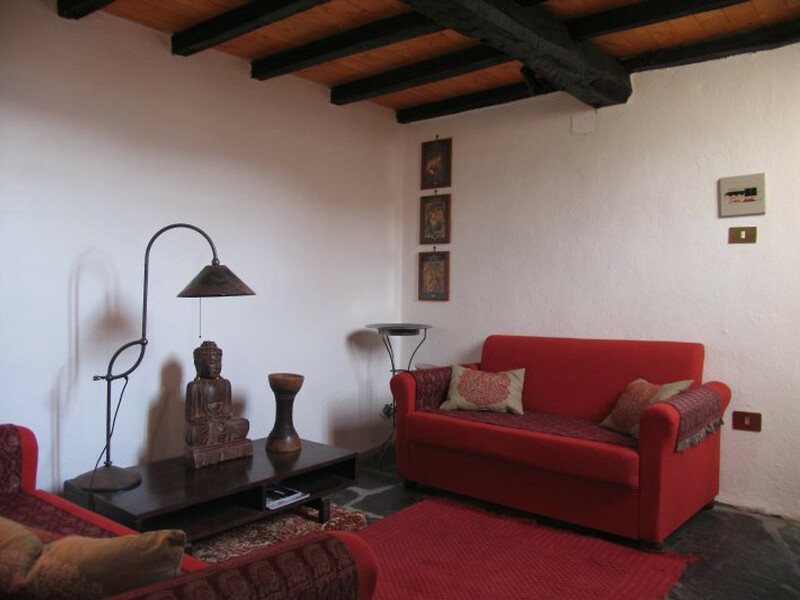 We even own apartment in the house, access to the guest apartment is located separately in another part of the house. We tried very hard to make our guests' stay as pleasant and as relaxed as possible. Therefore, we have a lot of information and help itinerary, check-in, and stay in the apartment. 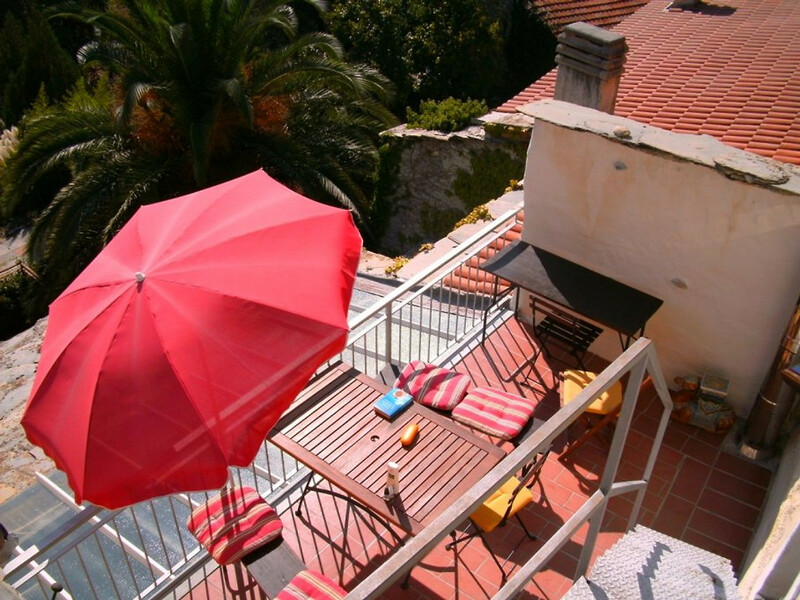 happy times, if desired, a glass of wine with the guests on our terrace. detailed guide and guide for the environment written, with numerous insider tips. This will be sent before the holiday. We are for guests but always be reached by phone, and can also spot jederzeit- help procure if necessary. shopping facilities: Alimentari liefern das Notwendigste (Regionales! ), Öffnungszeiten sind aber italienisch(!). Große Supermärkte sind in Albenga. Vicinity of the holiday home: Als Fotograf kommt man nicht zur Ruhe. Schon von der Terasse aus spielerische Lichtverhältnisse auf ruhiger Landschaftsidylle. free time activities: Freizeit fängt am Haus an. Wunderschöne Spaziergänge durch alte Dörfer. Authentisches Ambiente, großartige Gastronomie der einfachen Dinge.Das Meer ist auch nicht weit. Beste Tipps der Besitzerfamilie in einem selbsterlebten Reiseführer. shopping facilities: Lokale Produkte, wie Wein, Olivenöl, Käse in erster Qualität.Tolle Märkte in der Umgebung die so verführerisch sind, das man immer mit etwas besonderem nach Hause kommt. Vicinity of the holiday home: Herrlich ruhig gelegen. Wir konnten die Stille beim Frühstück auf der Dachterrasse erst gar nicht fassen. Erholungswert ist super. Einziger Minuspunkt, etwas abeits gelegen. wer ein pralles Nachtleben sucht, sollte sich "küstennäher" orientieren. Ein Auto ist unbedingtes Muss, da die Busse nicht den ganzen Tag über den Ort anfahren. free time activities: Die Umgebung mit den kleinen Dörfern, aber auch den schönen Städtchen und Stränden an der Riviera bietet viele Möglichkeiten,die Seele baumeln zu lassen, auf Erkundungstour zu gehen oder sich sportlich zu betätigen. Dank der sehr aufwendig aufbereiteten Mappe mit vielen Tipps der Vermieter kam keine Langeweile auf. Besonders hat uns ein mittelalterliche Fest in der Altstadt von Albenga gefallen und wir werden die nächste Reisezeit nach diesem Termin ausrichten. shopping facilities: Im nächsten Ort ist ein Bäcker, bei dem man auch die notwendigsten Lebensmittel bekommen kann. Gerne haben wir bei den benachbarten Bauern eingekauft, da es dort immer superfrische regionale Angebote gab. Alles andere ist in 20 Minuten Entfernung in Albenga in vielen Supermärkten und kleinen und großen Fachgeschäften zu finden. Vicinity of the holiday home: Das Haus liegt ca. 12 km vom Strand in Albenga entfernt und ist durch die Nähe zu sehr schönen Stränden im Osten (Noli) und im Westen (Laigueglia) auch für Strandliebhaber geeignet. 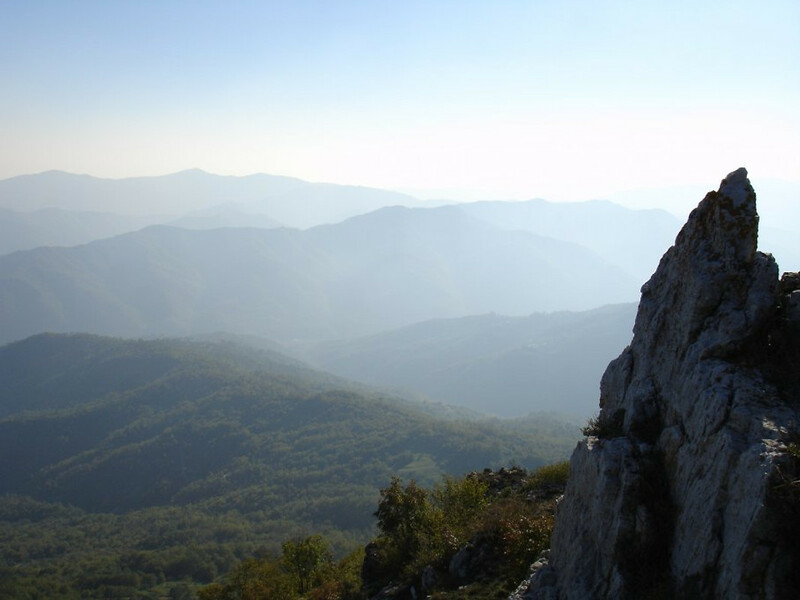 free time activities: Für uns war Wandern die Lieblingsbeschäftigung, für die die ligurische Bergwelt einiges zu bieten hat. Wie man allerorts feststellt, kommen auch Radfahrer (Straße und Mountain) voll auf ihre Kosten. 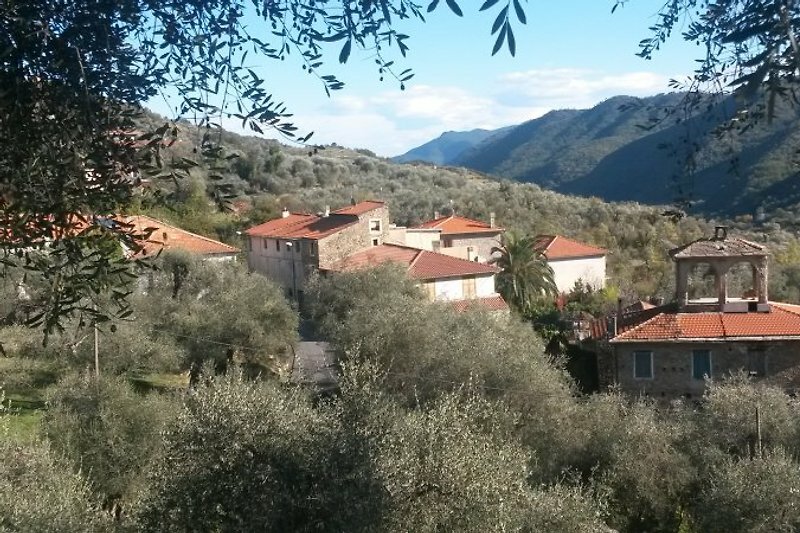 shopping facilities: Einkaufen kann man zu Fuß in einem kleinen Laden in der Nähe, oder mit dem Auto in Albenga (10 km) oder Ortovero. Ein fahrbarer Untersatz ist in jedem Fall zu empfehlen. free time activities: Es gibt zahlreiche Angebot, leider nur mit dem Auto zu erreichen, aber macht doch einfach mal Pause!